Guillon-Painturaud Vieille Reserve Cognac is a mature Grande Champagne cognac that is described by its maker as 'an elegant fruit bomb'. The house of Guillon-Painturaud are known for their single estate creations, and every eaux-de-vie used is from a single (undeclared) vintage year - each aged for at least 20 years before bottling. 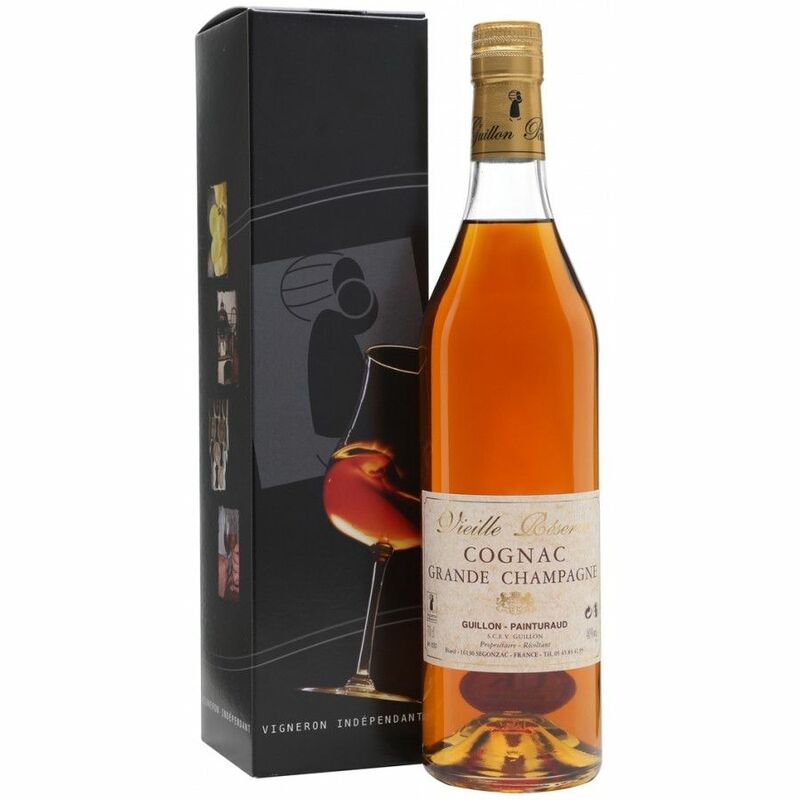 A delicate cognac - somewhat feminine with its lightness, with ripe raisin and fig flavors. This is an extremely good value cognac for one of such an age.